Send us a message for a quick response! Our mission at A & H Heating and Air Conditioning Inc. is to continuously provide excellent services, and products to our new and repeat customers as well as satisfying their needs at an affordable price and perform the services in a timely manner. After working several years for other HVAC companies, Andy decided to start his own company and hasn’t looked back. 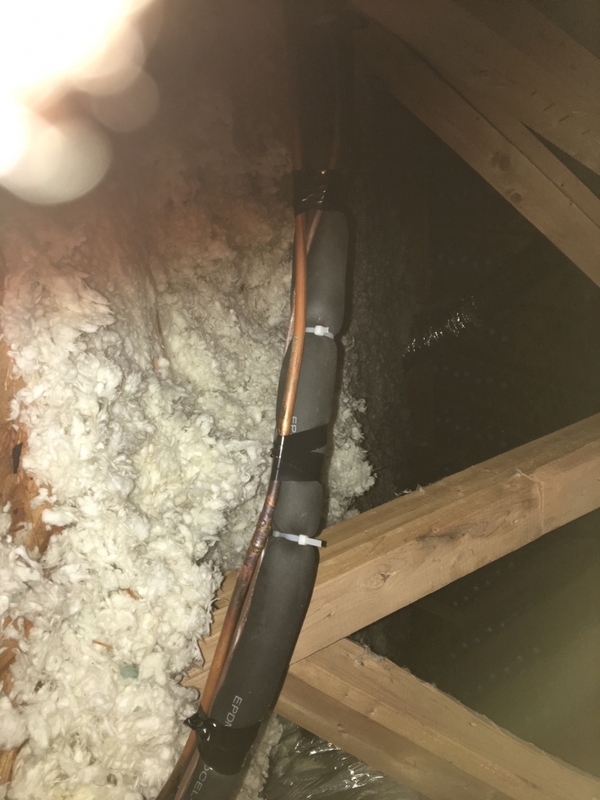 A&H Heating and Air Conditioning, Inc. was founded on November 4, 2008 when he saw the need in the area for a reliable HVAC Contractor in Stockbridge GA, and has spent the last 10 years building a solid reputation as a trusted and knowledgeable furnace and Air Conditioning service technician. 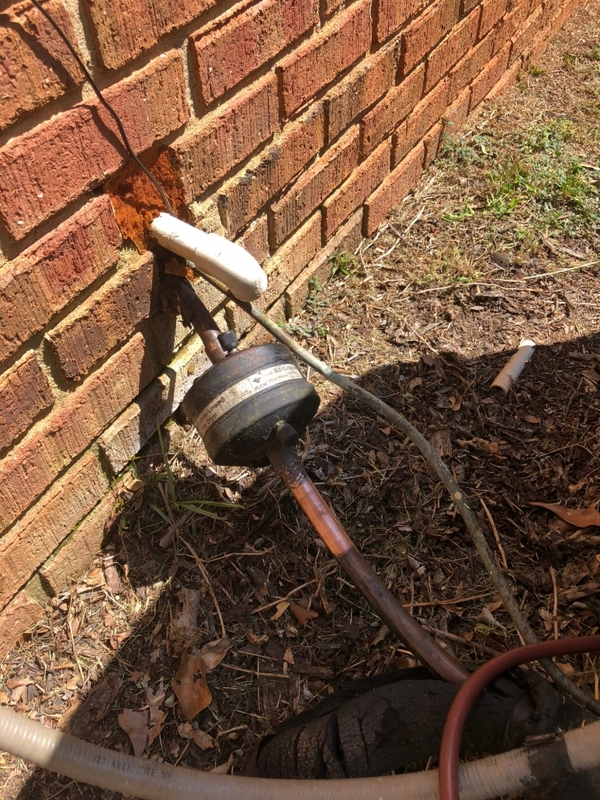 Andy currently holds a variety of State Certified license and certificates, including the Georgia State warm air license CR110035, the Georgia State EPA Universal license 0444915211200 which qualifies A & H Heating and Air Conditioning to handle and use all refrigerants. 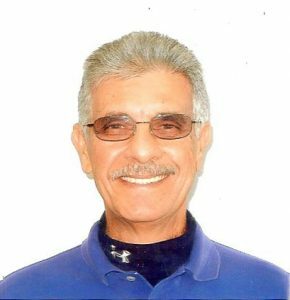 To this day, Andy engages in continued education courses, which allows him to stay current with new technology and training. 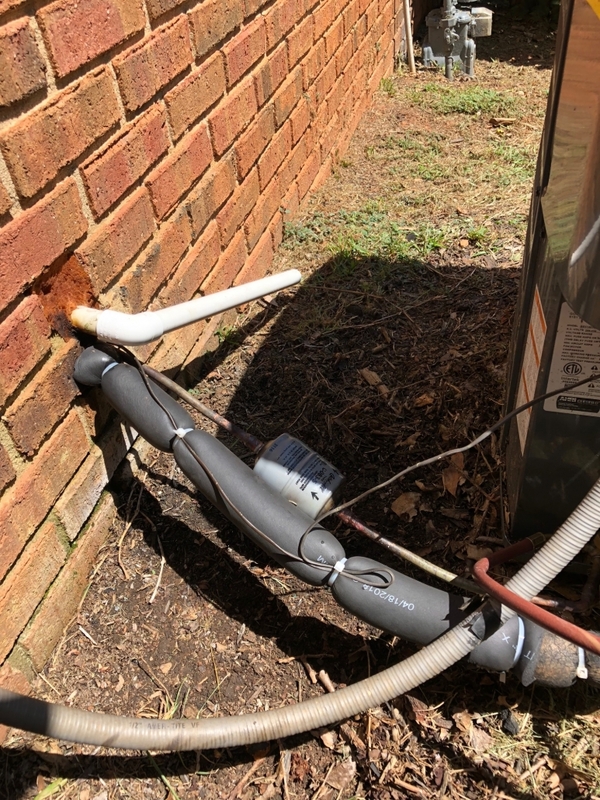 So if you are in the area and are looking for an experienced Air Conditioning Contractor in Stockbridge GA or a professional Heating Contractor in Stockbridge GA then you do not have to look any further. A&H Heating and Air Conditioning, Inc. in Stockbridge GA is ready to answer your call! Air Conditioning on the fritz again? Call us! We will send our expert technicians out to diagnose and repair your broken air conditioner. We are quick, efficient, and able to patch up most all of your A/C problems! We know winter can be harsh and unforgiving if you don’t have any heat in your house. Make sure to call us and we will be able to fix or install new heating systems to beat the chill of winter and keep you warm. Experiencing problems with your heat pump? We at A&H Heating and Air are able to repair and install heat pumps to suit your needs. Whether you need to replace your old heating and air system, or you are building a new house and need an all new HVAC we can help! In your house, each room’s temperature can be drastically different than the next. A&H can install zoning systems to make sure every room in your house can be set to your perfect temperature. To control your HVAC systems you need a good thermostat. We at A&H Heating and Air Conditioning are able to install and repair any thermostat system that you may have. 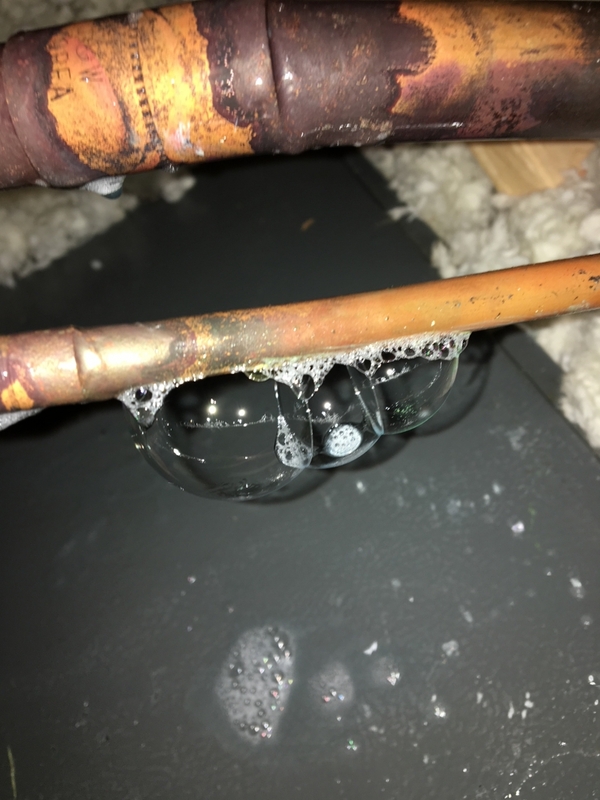 Leak found with bubble soap on a refrigerant copper line on ac system before brazing and after. 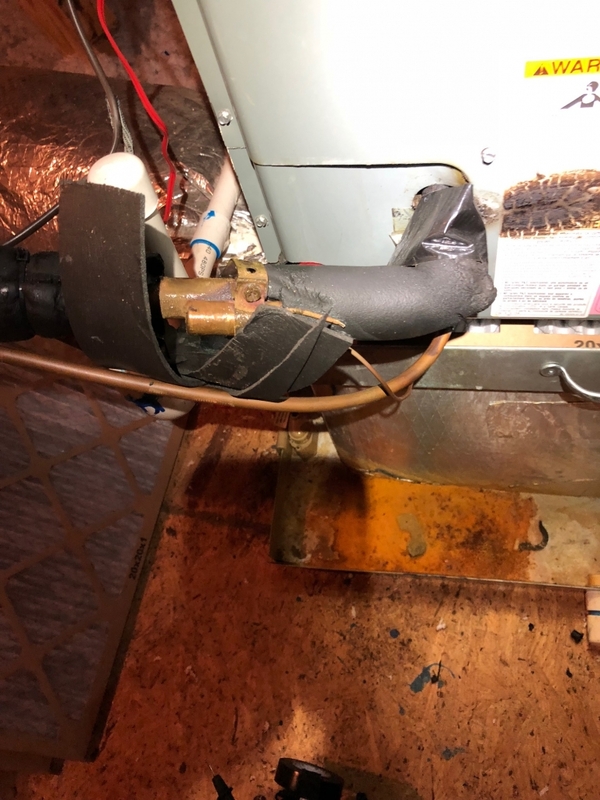 The small bulb attached to the larger line must be fully covered to sense the temperature of the refrigerant, otherwise the system will not offer peak performance . 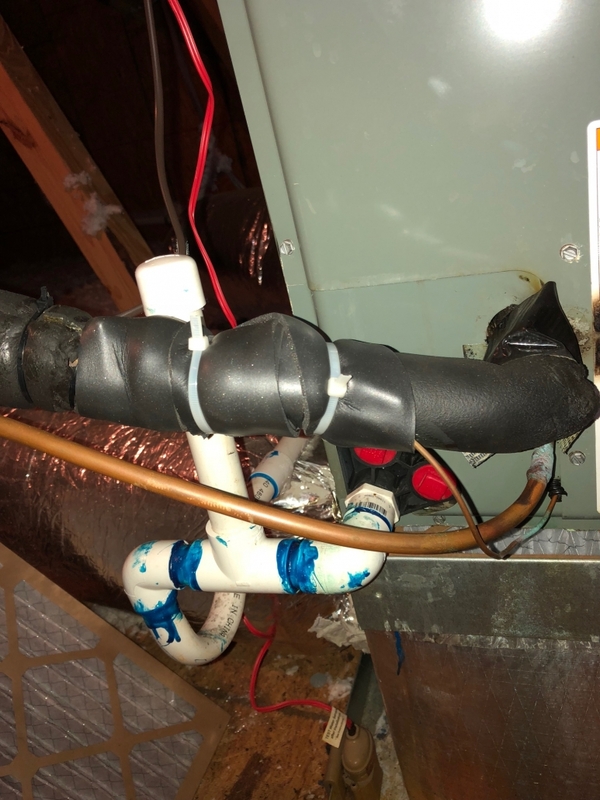 Old suction line filter leaking refrigerant before cutting out of copper line and brazing in new filter on high pressure line.